The warm scent of homemade banana bread wafting through the air is an aroma many would associate with home. When bananas overstay their welcome on the kitchen counter, it’s time to start contemplating what to do with their ripened form. The best thing to do for you (and your taste buds) is to find a quick and easy recipe for banana bread. A traditional banana bread recipe can take on many different forms, from overly sweet to salty and savory. The best banana bread can be tweaked depending on your personal preferences and the occasion at hand. A leisurely Sunday morning breakfast might require a sweet banana bread recipe, while dinner with a friend might call for something savory. While you can find many options for a banana bread recipe for a bread machine, we prefer to take a much closer look at what it takes to bake your banana bread recipe the oven. An easy banana bread recipe takes only a few minutes to throw together with plenty of hands-off time as it rises in the oven. What has your kitchen been waiting for all this time? We’re getting ready to mix up the best banana bread for a moist and simple recipe that will have your family and friends begging for more. You may not have even been aware of it, but banana bread actually has its very own holiday. February 23rd marks the day that all avid bakers will spend a handful of minutes mixing together a small number of ingredients for the perfect moist banana bread recipe. Banana bread is what many bakers refer to as a “quick bread,” so there really is nothing to fear. It is chemically leavened with baking soda or self-rising flour to prevent the need for hours of resting time. The dough is ready to go from the time you mix it and pour it straight into the pan, making almost all of the options an easy banana bread recipe. Only use ripe bananas. The fruit you want to use in a banana bread recipe is going to be well-ripened with no more green left on the peel. Ideally, it will even have a few brown spots before you qualify it as a prime ingredient for your moist banana bread recipe. Keep in mind that some grocery stores may sell bananas that reach this point at a discounted rate to make a cheap and easy banana bread recipe. Use a hand mixer. If you really want to save time on an easy banana bread recipe, you can forego chopping up your fruit. A hand mixer or a good quality stand mixer can pulverize it for perfect blending into the rest of the batter. Opt for oil over butter. Professional bakers suggest opting for oil instead of the traditional butter if you want to make a moist banana bread recipe. They claim that the oil coats the flour and keeps it from absorbing moisture and becoming dry later on down the road. Finding a recipe for banana bread is as simple as conducting a quick search on the Internet. How will you know which version offers the best banana bread around though? We’ve already conducted a little research to help you put together a simple recipe for banana bread that will stand the test of time. Be prepared to spend just a little over an hour to make a single loaf of this best banana bread. The preparation time will take approximately ten minutes but the baking time for a 9 x 5-inch pan will take roughly an hour. If you are short on time and still want to follow a recipe for banana bread, you can always convert the recipe into muffins. This is relatively simple to do because you will prepare the banana bread recipe the same way. The only difference is that you will pour it into a 12-count muffin tin instead of a loaf pan. Baking time is reduced to roughly thirty minutes for muffins. Preheat the oven to 350 degrees while you work on mashing the bananas. As we already mentioned, you can choose to chop, mash, or puree the bananas according to your preferences and how quickly you want to make your banana bread recipe. A hand or stand mixer can make quick work of this step. In one medium bowl, combine the flour, baking soda, salt, and baking powder, and whisk together until thoroughly combined. If you are using self-rising flour in your recipe for banana bread, you can omit the baking powder and baking soda. In a separate bowl, mix the egg, vanilla, vegetable oil, and sugar with the mashed bananas. If you want a slightly richer flavor, you can consider adding an extra egg yolk into the mix at this point. Fold the dry ingredients into the wet ingredients, adding only small sections at each time until it is all thoroughly combined. If you choose to add additional ingredients (like walnuts or almonds) into your recipe for banana bread, this is the time to gently fold them in as well. Pour the batter into a greased loaf pan or muffin tin to place into the oven. Loaf pans require about one full hour to bake through while muffin tins tend to take closer to thirty minutes. Insert a toothpick into the center to check if your banana bread recipe is done before removing from oven. The toothpick should come up clean, regardless of what you do to modify your banana bread recipe. The only exception is if you add ingredients (such as chocolate) that will melt and coat the toothpick upon insertion. The way your bread machine works will determine exactly how your banana bread recipe will bake over time. However, many models have a separate choice for quick breads. If your model does not have this option, consult your manual to see what it requires of you to cook breads that do not need rising time or additional kneading. If you do have a quick breads option, you should be able to combine the wet ingredients in the main pan of your bread machine followed by the dry ingredients as listed above. When it is finished, set your machine to the quick bread option and let it work its magic. This banana bread recipe for a bread machine works in the same way that the traditional method works. When the timer goes off and the machine is done, check the inside of the loaf with a toothpick or skewer to determine if it is cooked all the way through. If not, set the machine for additional time according to your manual instructions. For some people, the traditional and easy banana bread recipe isn’t enough for their adventurous taste buds. They are hoping for a homemade banana bread recipe that will stand out from a sea of boring and conservative recipes. Dreams of Hawaiian banana bread and banana nut bread dance through their mind. What types of ingredients could you add to make some of these moist banana bread recipe basics feel significantly more personal? Many people will add a teaspoon of cinnamon to their homemade banana bread as the easiest modification. This recipe for banana bread is relatively common. Hawaiian Banana Bread: Add one jar roasted and chopped macadamia nuts (approximately 3.5 ounces), ½ cup coconut flakes, and an 8-ounce can crushed pineapple and juice. Use only two to three ripe bananas in this banana bread recipe. Banana Nut Bread: Add ½ cup of chopped walnuts either into the batter or sprinkled on top depending on your preferences for a classic banana nut bread recipe. Chocolate Chip Banana Bread: Add ½ cup of your favorite chocolate chips for an extra sweet banana bread recipe. Consider peanut butter chips, dark chocolate chips, and milk chocolate chips for different flavor options in this sweet banana bread recipe. Nutella Banana Bread: Stir ½ cup of Nutella into your batter for a hazelnut twist to the best banana bread. Harvest Banana Bread: Add one teaspoon of cinnamon or pumpkin pie spice for an enhanced fall flavor to your homemade banana bread recipe. This can also be paired well with the banana nut bread recipe. Apart from these common variations on a basic banana bread recipe, you can also easily modify this banana bread recipe for your tastes. Consider adding dried fruit into the batter such as cranberries or rum-soaked raisins. Experiment with a variety of nut flavors and types. Melt the honey and butter together in a small sauce pan, whisking in the honey and sugar until smooth. Let cool for approximately ten minutes before serving over the finished loaves. For cooks who want the best of both worlds, a healthy and easy banana bread recipe, there are a few ways you can modify our best banana bread above. 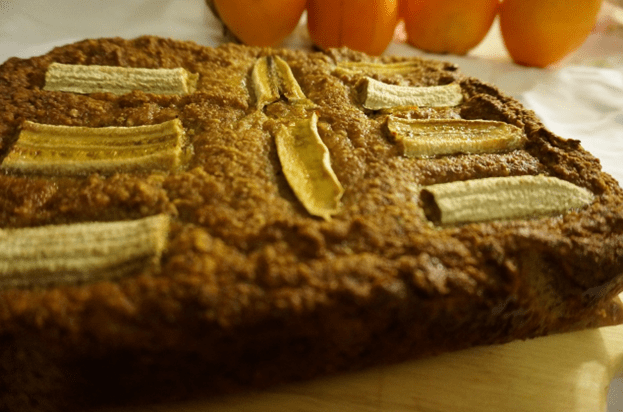 Apart from adding healthy ingredients into the batter before finished, you can also tweak some of the standard ingredients within the banana bread recipe itself. 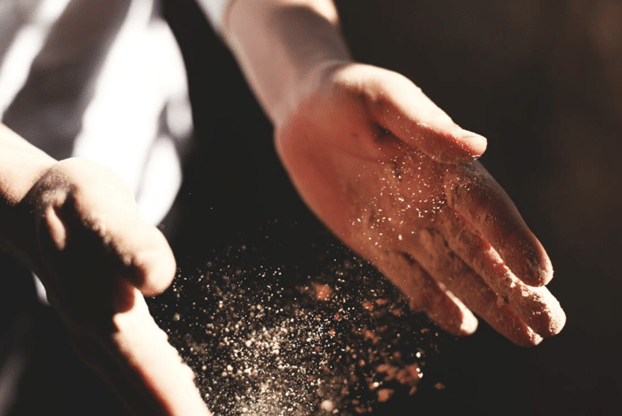 Many bakers would tell you that you can easily substitute whole wheat flour for white or all-purpose flour. Whole wheat flour such as that available from King Arthur Flour can be substituted in equal parts. Other sources recommend reducing the amount of whole wheat flour slightly when compared to white flour. If you opt to use whole wheat flour, substitute ¾ cup for 1 whole cup of white flour. Overall, this switch makes the batter denser and heavier than it would be with the traditional ingredients. It also increases the potassium, magnesium, and zinc within your recipe for a healthier banana nut bread recipe or other variation. You can easily tweak your best banana bread in order to use less sugar than it originally calls for. Depending on how strong your sweet tooth is, you may be able to reduce it to just ½ cup of white sugar instead. One recipe from Food.com suggests cutting the sugar in your recipe for banana bread down to just 1 tablespoon. Some individuals recommend adding in an extra banana for more natural sweetness when you choose this method. The other option would be to substitute white granulated sugar for light or dark brown sugar instead. The flavor is much deeper than that associated with granulated sugar which allows you to use less in your recipe for banana bread. Or, you can even opt for Stevia or another natural sweetener sugar substitute, which works well for those who have diabetes or need to watch their sugar intake. You receive a richer flavor with less sugar, which is a win-win all the way around. Making the best banana bread is a completely unique experience that depends on your individual preferences. Where one person may prefer the healthier taste of whole wheat flour and reduced sugar, another may want to add extra sweetness to their banana bread recipe with a smattering of chocolate chips. A moist banana bread recipe is easy to come by when you understand the basics of how to put the batter together. A quick bread like this one is relatively simple to develop, no matter whether you’re experienced in the kitchen or a disaster. Our easy banana bread recipe can help you master the basics in less than ten minutes. From there, you can find which items you prefer to add for the perfect homemade banana bread recipe. Fruit, chocolate, or nuts are all viable choices that give you plenty of room for experimentation. Fortunately, banana bread is one of the few versatile recipes that allows you to make tweaks each and every time with a high chance of success. Banana nut bread or Hawaiian banana bread will both make stellar choices for your next party, evening at home, or fancy breakfast. So put on your apron and start experimenting with the basics of creating a simple recipe for banana bread. Your friends, family, and taste buds will be glad that you did.